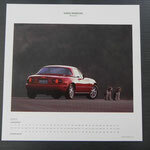 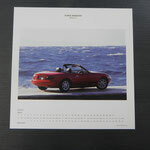 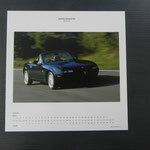 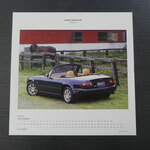 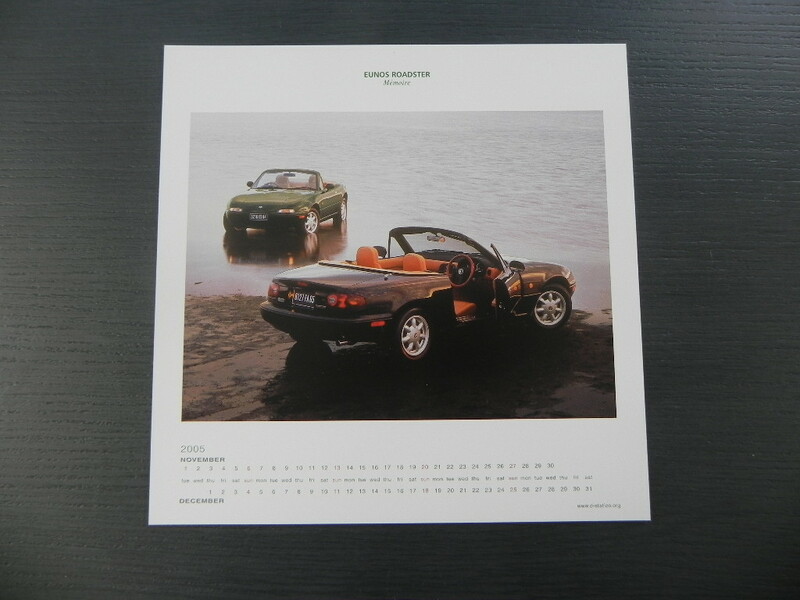 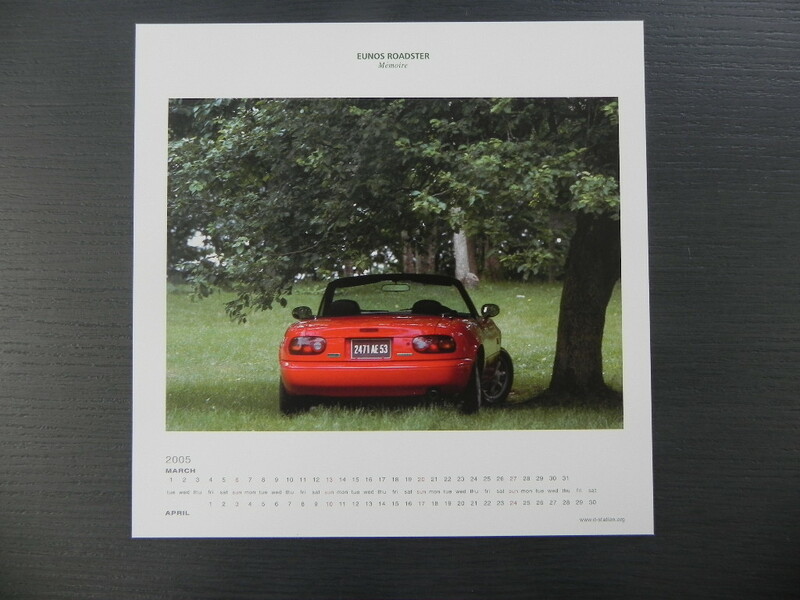 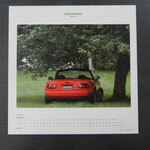 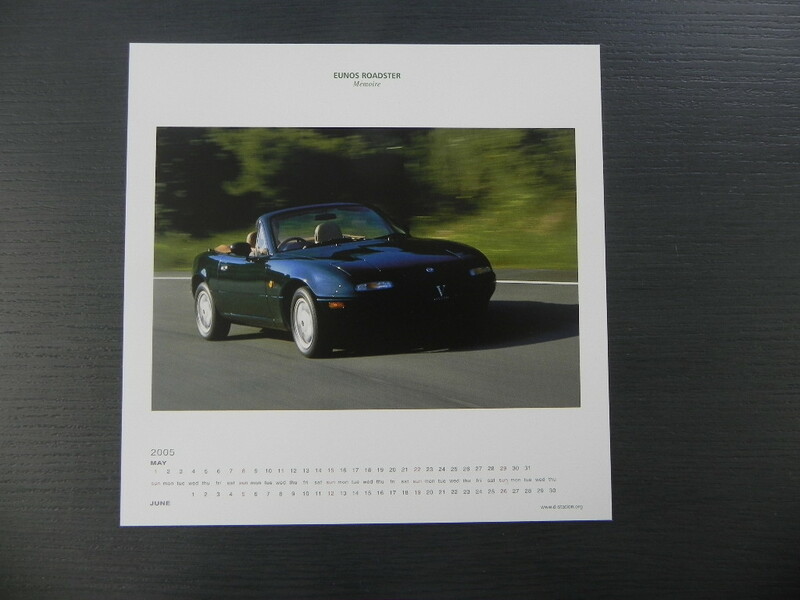 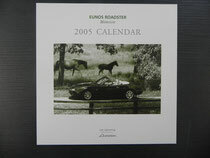 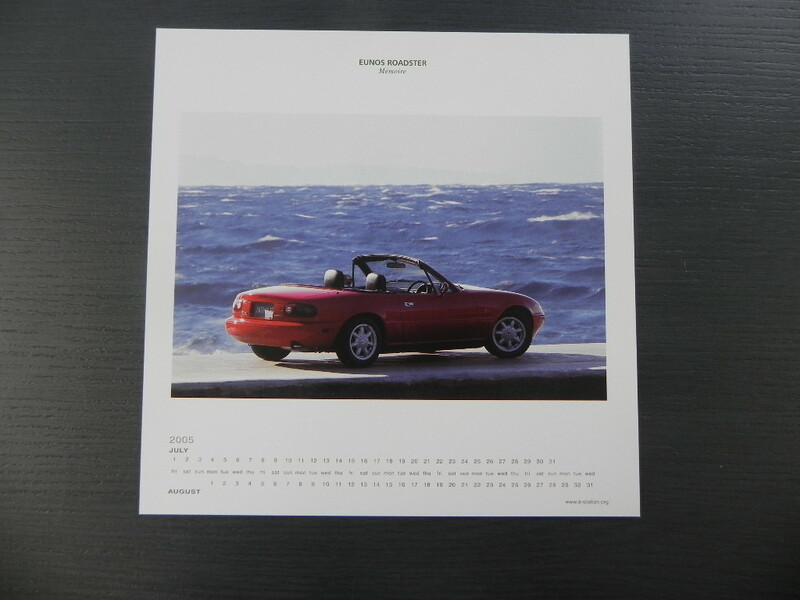 I made ​​a calendar, "Eunos, Roadster" 2005. 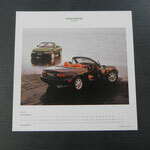 I am one to get people to vote for your favorite photo of roadster fans, Dekiru select the photo that was popular. 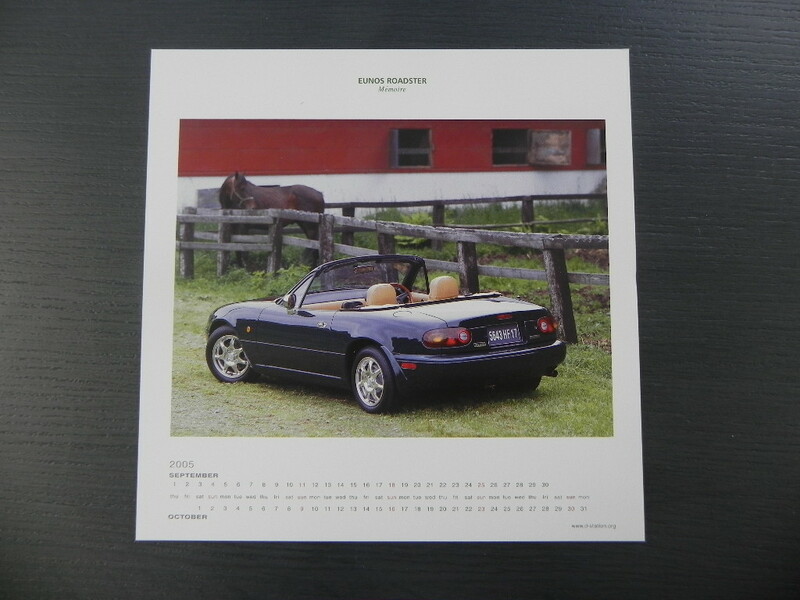 You can put a desk or tabletop type, even at the door. 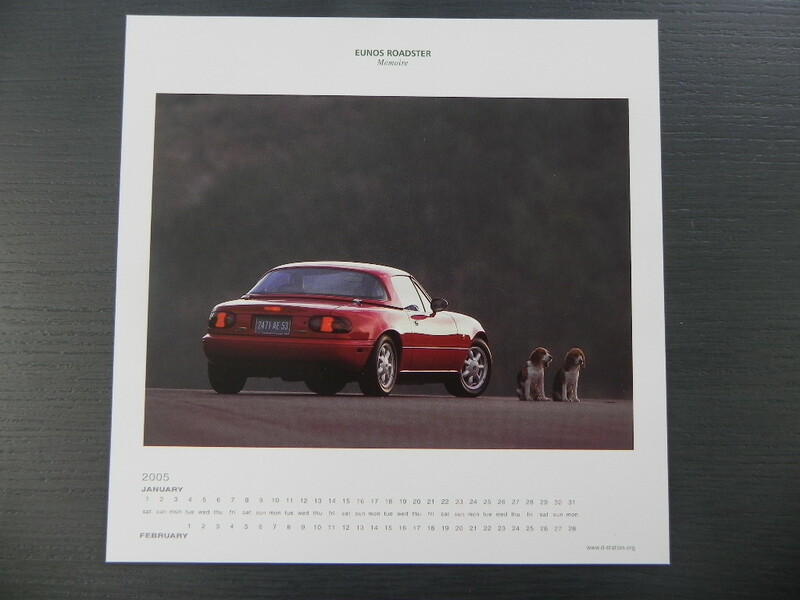 Previously available from the manufacturer's calendar at the end of the year and I have had fun.